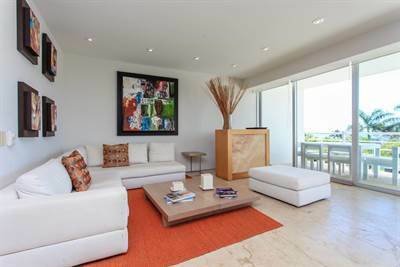 Real estate Playa del Carmen: Ocean view condo at Magia in Centro, Playa del Carmen is Sold! 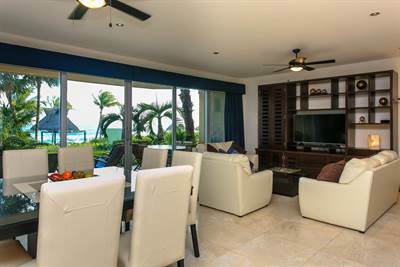 Condos in Puerto Aventuras: Spacious ground floor condo at Punta Roca! in Puerto Aventuras, Puerto Aventuras is Sold! in Centro, Playa del Carmen The single story at Real estate Playa del Carmen: Ocean view condo at Magia has been sold. 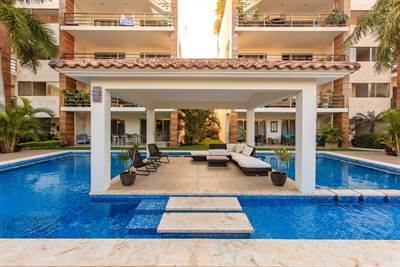 Posted on April 23, 2019 Leave a comment on Real estate Playa del Carmen: Ocean view condo at Magia in Centro, Playa del Carmen is Sold! • 1439 sqft , 2 bath , 2 bdrm single story – FOR SALE USD332,778 . Blue House is a new development with 52 units located in the exclusive gated community of Puerto Aventuras. 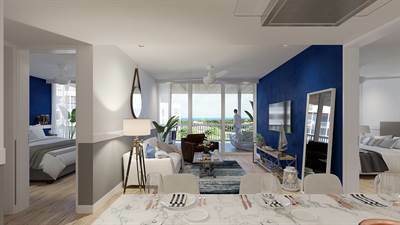 This development boasts 19-century European architecture with a modern Caribbean design and you can’t beat the Marina front location. Blue House is a marriage of beauty and function all with first-class amenities that include a lobby, concierge, pool, gym, Yacht Club, restaurant, fire pit lounge, wet bar, snacks bar, cabanas, marina, kid’s club, use of Sea-ray boat and jet ski’s. The finishings are first class and include lobby marble floors, condos come with American wood style porcelain floors, carpentry includes natural American oak wood, premium imported fixtures, Italian kitchen, backsplash and bathroom ceilings with white tile, LED lighting, and hidden air conditioners. Located in one of the safest gated communities in the Riviera Maya, Puerto Aventuras is a tight-knit upscale community that includes a 9 hole golf course, a marina that provides fresh fish daily, lots of restaurants, bars and entertainment and all this set into a lush green backdrop with white sand beaches. • 925 sqft , 2 bath , 2 bdrm single story – FOR SALE USD226,900 . One of a kind opportunity for those in search of real estate for sale in Playa del Carmen, Mexico! Sand, sun, and the turquoise waters of the Mexican Caribbean Sea are calling your name! Come and discover Serenada, gorgeous new apartments for sale in Playa del Carmen, Mexico! An interesting and unique development concept located right in the heart of Playa del Carmen on 38th St. and 10th Ave. This is the new favorite in town. Serenada has saved the best for last and comes with its own unique surprises. These apartments are positioned within a privileged location in the Siempre Playa-Midtown development complex – the newest and hottest meeting spot in the downtown area, a reason to come out and be seen. Here you will find a host of things to do right inside the complex, including stylish shops and boutiques, restaurants, and airy living spaces designed to make the most of it – whether walking, driving or biking. With a twist of cosmopolitan and state-of-the-art design trends, Serenada offers 2 and 3 bedroom condos for sale in Playa del Carmen, with a total of 64 apartments over 6 floors. There are a variety of floor space plans with a range of sizes, something to fit your needs, if you are looking for a vacation home or investment property, Serenada is a great option. The 3 bedroom penthouse units, of which there are only a few available, have a private rooftop terrace area. There are different units with lock-off capability, making it great for rentals. Use one side of the condo and rent the other, paying for your stay in paradise, while you’re on vacation! Amenities included in the development are 2 elevators, shopping center, underground parking lot, lobby, concierge service, kids club, gym, sky bar, and pool on the rooftop. in Puerto Aventuras, Puerto Aventuras The single story at Condos in Puerto Aventuras: Spacious ground floor condo at Punta Roca! has been sold. 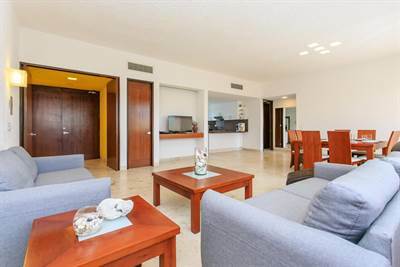 Posted on April 17, 2019 Leave a comment on Condos in Puerto Aventuras: Spacious ground floor condo at Punta Roca! in Puerto Aventuras, Puerto Aventuras is Sold! • single story – FOR SALE USD449,000 . in Playa del Carmen, Playa del Carmen Announcing a price drop on Palmeiras condo: a great piece of Playa del Carmen real estate, a 1240 sqft , 2 bath , 2 bdrm apartment. Now FOR SALE USD129,900 . JUST REDUCED!! in El Cielo, Playa del Carmen Announcing a price drop on Apartments for sale Playa del Carmen: Punta Allen , a 1776 sqft , 2 bath , 1 half bath , 2 bdrm single story. Now FOR SALE USD189,000 . JUST REDUCED!! 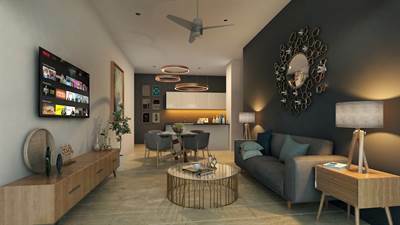 A new concept in condos for sale in Playa del Carmen with prices starting at $85,184 USD! Own your very own piece of paradise without breaking the bank! With a unique style, Believe offer studios for sale in Playa del Carmen real estate, with a great location, in the Zazil Ha neighborhood, an area that has seen a lot of growth and new developments in the last couple of years. Located in the heart of Playa del Carmen on 40th Avenue and 20th Street, you have easy access to the downtown area, shopping, grocery stores, and are just a 5-minute walk to the beach. 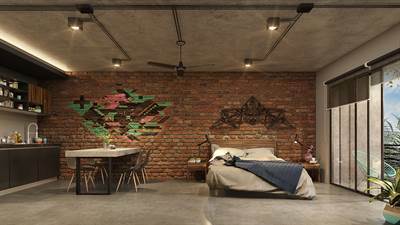 Believe has a young, hip, urban feel to it with graffiti-like artwork on exposed brick walls. Composed of only 22 studios units spread across four levels, Believe is a marriage of the smart and young. 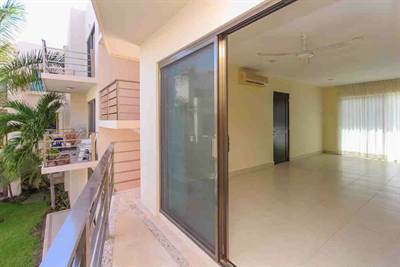 All of the units will be delivered fully furnished which makes this property particularly attractive to investors. Amenities and services will include a swimming pool, CrossFit gym, bbq area, laundry area, solarium a sky bar, lobby, concierge, elevator, parking, and wifi. Delivery for Believe is scheduled for March 2020. Prices range from $85,184 USD to $104,681 USD, with sizes from 29.19 sq meters/314 sq ft to 41.31 sq meters/444 sq ft.
• single story – FOR SALE USD107,600 . 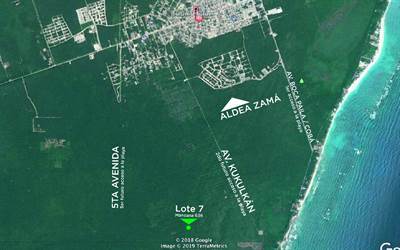 Excellent investment opportunity for those in search of lots for sale in Tulum, Mexico! Lot 7 of Block 636 in Region 8 of Tulum, listed for $107,600 USD. 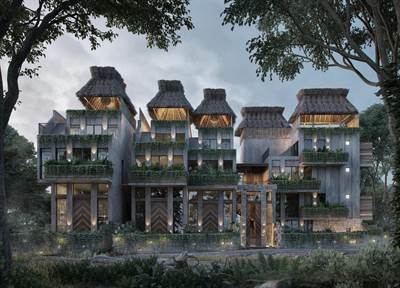 Located very close to Avenida Kukulcán, which once completed will give you direct access to the hotel zone of Tulum where you will find beautiful turquoise beaches, internationally renowned restaurants, boutique shopping, yoga, spas, and more! This is one of the areas with greater growth and added value in Tulum real estate. Region 8 has an excellent location as it is possible to access via Kukulcan Avenue and in the future by 5th Avenue, which will be the 3rd future access to the hotel zone of Tulum! Tulum, Mexico is one of the most popular tourist locations in the world, welcoming international visitors and a slew of celebrities to its beaches. The time to invest couldn’t be better, this lot is perfect for someone looking to build their jungle dream home. This is a mid-range investment, for those looking to buy something now while prices are still low, and build in a couple of years. There are currently no services available in this area and the roads are still being cleared, but smart investors know the great value of lots in this area. Priced to sell at $107,600 USD, don’t wait, Tulum real estate in exploding and lots like this see great appreciation.